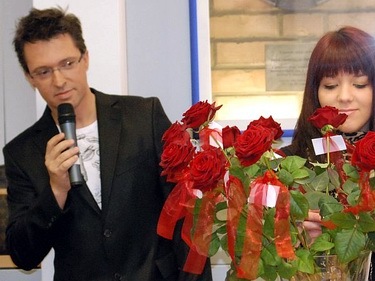 Rok ЕЅlindra founded the ensemble first inviting singer Barbara and then two other members, who also were singers, and had to learn instruments. 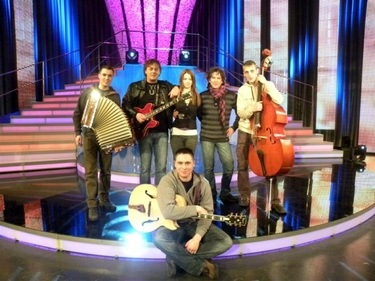 First public performance of the band took place on 1st of September 2005 in a broadcast Pri jozovcu z Natalijo. 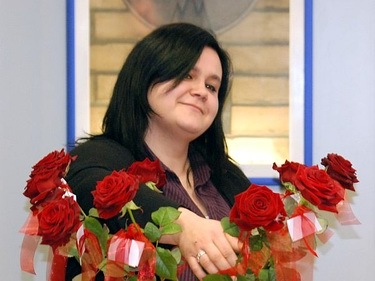 In 2006 took part in festival GraЕЎka gore winning several prizes. 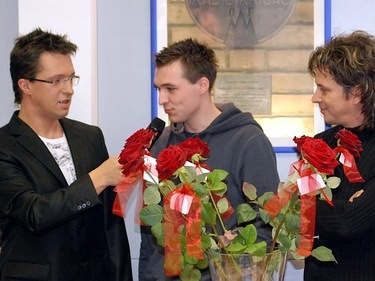 In 2007 finished 3rd in festival Polka valДЌek. In the same year released debut CD "NajlepЕЎe je, kadar sva skupaj" and shot video for the title song. 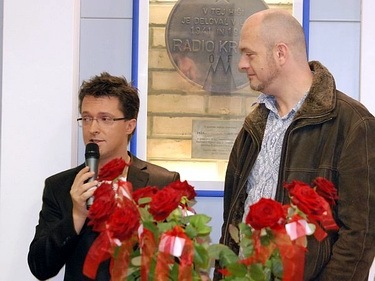 Returned to festival GraЕЎka gore to win 2nd prize again. In 2008 took part in festival in Ptuj getting 3rd award and in festival in Е kofja finishing 2nd. Won GraЕЎka gore festival with the song "Spomin na poletno noДЌ" and released 2nd CD "Srce pa ЕЎe vedno hrepeni". 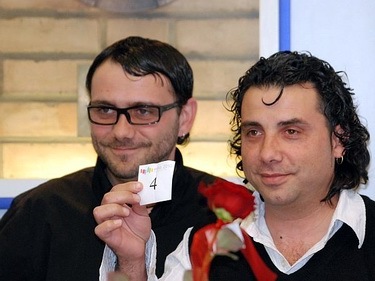 In 2009 were absolute winners of Polka valДЌek festival and performed in Tyrol for the German speaking audiences doing three songs in German language. Won the audience award in festival in Ptuj. Barbara Ogrinc was born on 4th February 1990 in a village ЕЅimarice. 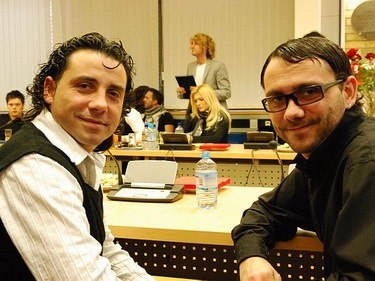 Has completed secondary school for Economics in Ljubljana and the training courses for the hairdressing techniques. Ever since she was small she loved singing, and her wish came true when she sang duo with Rok Zlindro in the age of 15. Rok ЕЅlindra - founder and leader of the band. 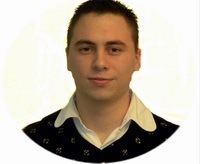 Was born on 30.9.1988, in Ljubljana, lived in the village Vinice. He continues a family tradition as his father and grandfather are musicians. Finished primary music school for accordion. 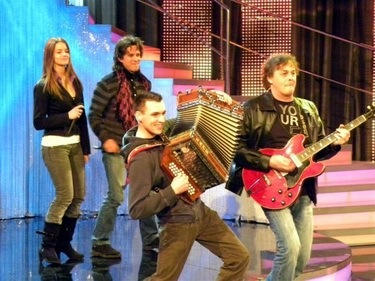 Several times attended the competition for accordioninsts UrЕЎka and twice won and twice was second. First, he set up a duet with Barbara, then the complete ensemble was created. Finished secondary school for Economics in KoДЌevje, and now helps in teaching of young musicians and also being a professional manager of the accordion club UrЕЎka. Nejc DrobniДЌ comes from Dolenjih Lazov in Ribnici. 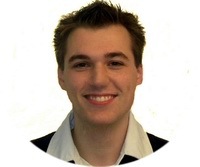 Was born on 18th May 1988 in Ljubljana. Started singing in the church choir at St. Gregory. Very quickly he learnt playing guitar and later joined the ensemble. 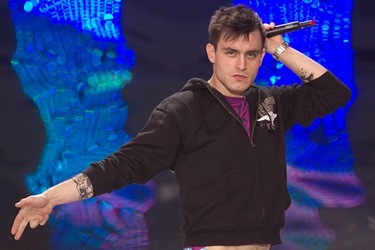 Rok Modic comes from the village MarolДЌe born on 15.09.1987. Same as Nejc he started singing in a church choir. Later was noticed by the leader of ensemble and was invited to join it, where he quickly learnt to play bass guitar and contra bass. Finished his secondary school of electrical engineering and telecommunications in Ljubljana. Band Kalamari was established in November 1993 when JoЕѕe Jez-Pepi, MatjaЕѕ Е vagelj and Alexander KokoЕЎar occasionally gathered for a few appearances. Very soon they started working on own songs and in 1995 released album "Dobra vila". 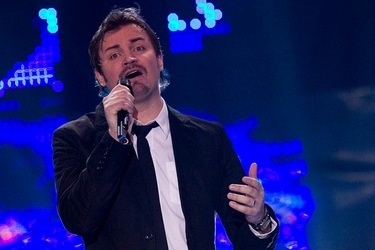 The album included radio hits, but wider recognition in Slovenia has arrived to it only after release of 2nd CD "S tabo drzim" with the most popular song "AngelСЃa". The group since then became quartet to enhance it's live performances. The real success for Kalamari came with the release on the third CD "V vetru rdeДЌih zastav". Band played concerts in Italy, Austria, Switzerland, Croatia and Serbia and Montenegro. Now band was including besides Pepi and Matjaz drummer Rok TomaЕѕinДЌiДЌ and keyboards player Egon PrinДЌiДЌ. 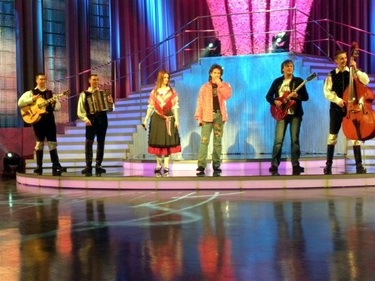 Currently, in addition to appearances on radio and TV they promote their new sixth CD "Lahko letiЕЎ". 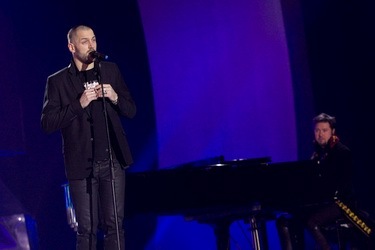 Since Eurovision rules allow only six people on stage, this will exclude from stage performance several members of Kalamari. MatjaЕѕ Е vagelj - guitars, vocal. In primary school Matjaz has played the drums. 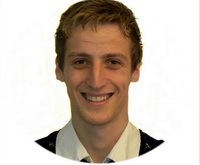 After graduating from music school he has formed his first band, where he played bass guitar. Later, as solo guitarist he joined band "Nova pot". Prior to joining Kalamari for a short time played bass in Zagreb band "Rock caffe". In Kalamari he has contributed virtually all music arrangements. 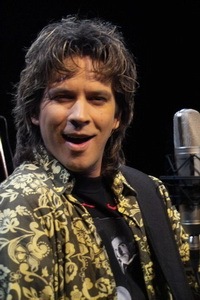 Otherwise, he is also active as arranger, producer, guitarist, bassist and backing vocalist, appearing in various projects of Slavko IvanДЌiД‡, Danilo KocjanДЌiДЌ, Iztok Mlakar, Giani Rijavec, band of Johnny Bravo etc. Pepi JeЕѕ - vocals, guitar. Started his musical experience as guitarist in the band Karantanija, led by his brother, Dejan. 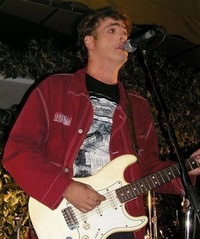 Later, together with guitarist Bor Zuljan formed band Harry Blue, which is known for the hit "Mesto spi". In early 90th recorded rock album with band Faust. 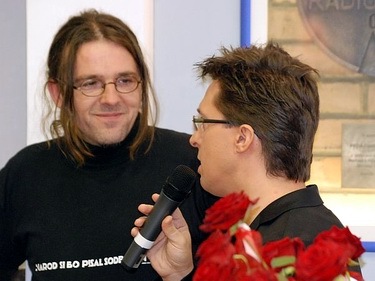 After Faust disbanded, formed with Matjaz Svagelj band Kalamari. He is frontman of the band, occasionally also playing accoustic guitar and percussion. He is also writer of the most songs of the band. 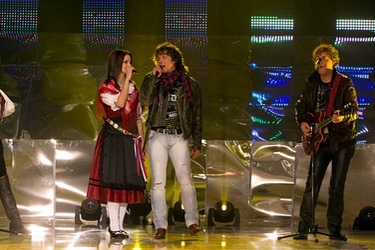 The idea to mix a folk ensemble and rock band came to lyricist Leon Oblak and the result of it was a song "Narodno zabavni rock" written by Marino Legovic. Listen to the song here. Watch national final performance here, Spet Doma preview here. Р РѕРє Р–Р»РёРЅРґСЂР° РѕСЃРЅРѕРІР°Р» СЃРІРѕР№ Р°РЅСЃР°РјР±Р»СЊ, РїСЂРёРіР»Р°СЃРёРІ РІ РЅРµРіРѕ РїРµРІРёС†Сѓ Р‘Р°СЂР±Р°СЂСѓ Рё РґРІСѓС… РґСЂСѓРіРёС… С‡Р»РµРЅРѕРІ, РєРѕС‚РѕСЂС‹Рµ С‚Р°РєР¶Рµ Р±С‹Р»Рё РїРµРІС†Р°РјРё, Рё РєРѕС‚РѕСЂС‹Рј РїСЂРёС€Р»РѕСЃСЊ РЅР°СѓС‡РёС‚СЊСЃСЏ РІР»Р°РґРµС‚СЊ РёРЅСЃС‚СЂСѓРјРµРЅС‚Р°РјРё. РџРµСЂРІРѕРµ РїСѓР±Р»РёС‡РЅРѕРµ РІС‹СЃС‚СѓРїР»РµРЅРёРµ РіСЂСѓРїРїС‹ СЃРѕСЃС‚РѕСЏР»РѕСЃСЊ 1РіРѕ СЃРµРЅС‚СЏР±СЂСЏ 2005 РіРѕРґР° РІ РїСЂРѕРіСЂР°РјРјРµ Pri jozovcu z Natalijo. Р’ 2006 РіРѕРґСѓ Р°РЅСЃР°РјР±Р»СЊ РїСЂРёРЅРёРјР°РµС‚ СѓС‡Р°СЃС‚РёРµ РІ С„РµСЃС‚РёРІР°Р»Рµ GraЕЎka gore Рё Р·Р°РІРѕРµРІС‹РІР°РµС‚ СЂСЏРґ РїСЂРёР·РѕРІ. Р’ 2007 РіРѕРґСѓ Р·Р°РЅРёРјР°РµС‚ 3Рµ РјРµСЃС‚Рѕ РІ С„РµСЃС‚РёРІР°Р»Рµ Polka valДЌek. Р’ СЌС‚РѕРј Р¶Рµ РіРѕРґСѓ РІС‹РїСѓСЃРєР°РµС‚ РґРµР±СЋС‚РЅС‹Р№ Р°Р»СЊР±РѕРј "NajlepЕЎe je, kadar sva skupaj" Рё СЃРЅРёРјР°РµС‚ РІРёРґРµРѕРєР»РёРї РЅР° Р·Р°РіР»Р°РІРЅСѓСЋ РїРµСЃРЅСЋ. Р’РѕР·РІСЂР°С‰Р°РµС‚СЃСЏ РЅР° С„РµСЃС‚РёРІР°Р»СЊ GraЕЎka gore Рё РІРЅРѕРІСЊ Р·Р°РІРѕРµРІС‹РІР°РµС‚ 2Р№ РїСЂРёР·. Р’ 2008 РіРѕРґСѓ РїСЂРёРЅРёРјР°РµС‚ СѓС‡Р°СЃС‚РёРµ РІ С„РµСЃС‚РёРІР°Р»СЏС… РІ РџС‚СѓРµ, РіРґРµ РїРѕР»СѓС‡Р°РµС‚ 3СЋ РїСЂРµРјРёСЋ, Рё РІ С„РµСЃС‚РёРІР°Р»Рµ РІ РЁРєРѕС„СЊРµ, Р·Р°РЅСЏРІ 2Рµ РјРµСЃС‚Рѕ. РџРѕР±РµР¶РґР°РµС‚ РЅР° GraЕЎka gore СЃ РїРµСЃРЅРµР№ "Spomin na poletno noДЌ" Рё РІС‹РїСѓСЃРєР°РµС‚ РІС‚РѕСЂРѕР№ Р°Р»СЊР±РѕРј "Srce pa ЕЎe vedno hrepeni". Р’ 2009 РіРѕРґСѓ Р°РЅСЃР°РјР±Р»СЊ СЃС‚Р°РЅРѕРІРёС‚СЃСЏ Р°Р±СЃРѕР»СЋС‚РЅС‹Рј РїРѕР±РµРґРёС‚РµР»РµРј С„РµСЃС‚РёРІР°Р»СЏ Polka valДЌek Рё РІС‹СЃС‚СѓРїР°РµС‚ РІ РўРёСЂРѕР»Рµ РїРµСЂРµРґ РЅРµРјРµС†РєРѕ-РіРѕРІРѕСЂСЏС‰РµР№ Р°СѓРґРёС‚РѕСЂРёРµР№, РґР»СЏ С‡РµРіРѕ Р±С‹Р»Рё РїРѕРґРіРѕС‚РѕРІР»РµРЅС‹ С‚СЂРё РєРѕРјРїРѕР·РёС†РёРё РЅР° РЅРµРјРµС†РєРѕРј СЏР·С‹РєРµ. Р—Р°РІРѕРµРІС‹РІР°РµС‚ РїСЂРёР· Р·СЂРёС‚РµР»РµР№ РЅР° С„РµСЃС‚РёРІР°Р»Рµ РІ РџС‚СѓРµ. Р‘Р°СЂР±Р°СЂР° РћРіСЂРёРЅС‡ СЂРѕРґРёР»Р°СЃСЊ 4РіРѕ С„РµРІСЂР°Р»СЏ 1990 РіРѕРґР° РІ РґРµСЂРµРІРЅРµ Р–РёРјР°СЂРёС†Рµ. РћРЅР° Р·Р°РєРѕРЅС‡РёР»Р° С€РєРѕР»Сѓ РІС‚РѕСЂРѕРіРѕ Р·РІРµРЅР° РїРѕ СЃРїРµС†РёР°Р»СЊРЅРѕСЃС‚Рё "СЌРєРѕРЅРѕРјРёРєР°" РІ Р›СЋР±Р»СЏРЅРµ Рё РєСѓСЂСЃС‹ РїР°СЂРёРєРјР°С…РµСЂР°. РЎ СЂР°РЅРЅРµРіРѕ РґРµС‚СЃС‚РІР° РѕРЅР° Р»СЋР±РёР»Р° РїРµС‚СЊ Рё РµРµ Р¶РµР»Р°РЅРёРµ СЃРјРѕРіР»Рѕ СЂРµР°Р»РёР·РѕРІР°С‚СЊСЃСЏ, РєРѕРіРґР° РѕРЅР° СЃРїРµР»Р° РґСѓСЌС‚РѕРј СЃ Р РѕРєРѕРј Р–Р»РёРЅРґСЂРѕР№, РєРѕРіРґР° РµР№ Р±С‹Р»Рѕ 15 Р»РµС‚. Р РѕРє Р–Р»РёРЅРґСЂР° - РѕСЃРЅРѕРІР°С‚РµР»СЊ Рё Р»РёРґРµСЂ РіСЂСѓРїРїС‹. Р РѕРґРёР»СЃСЏ 30.09.1988 РІ Р›СЋР±Р»СЏРЅРµ, Р¶РёР» РІ РґРµСЂРµРІРЅРµ Р’РёРЅРёС†Рµ. РџСЂРѕРґРѕР»Р¶Р°РµС‚ СЃРµРјРµР№РЅСѓСЋ С‚СЂР°РґРёС†РёСЋ, РїРѕСЃРєРѕР»СЊРєСѓ РµРіРѕ РѕС‚РµС† Рё РґРµРґ С‚Р°РєР¶Рµ РјСѓР·С‹РєР°РЅС‚С‹. Р—Р°РєРѕРЅС‡РёР» РјСѓР·С‹РєР°Р»СЊРЅСѓСЋ С€РєРѕР»Сѓ РїРѕ РєР»Р°СЃСЃСѓ Р°РєРєРѕСЂРґРµРѕРЅР°. РќРµСЃРєРѕР»СЊРєРѕ СЂР°Р· РїСЂРёРЅРёРјР°Р» СѓС‡Р°СЃС‚РёРµ РІ РєРѕРЅРєСѓСЂСЃРµ Р°РєРєРѕСЂРґРёРѕРЅРёСЃС‚РѕРІ UrЕЎka, РіРґРµ РґРІР°Р¶РґС‹ РїРѕР±РµР¶РґР°Р» Рё РґРІР°Р¶РґС‹ Р·Р°РЅРёРјР°Р» РІС‚РѕСЂРѕРµ РјРµСЃС‚Рѕ. РџРµСЂРІРѕРЅР°С‡Р°Р»СЊРЅРѕ, РѕРЅ СЃРѕР·РґР°Р» РґСѓСЌС‚ СЃ Р‘Р°СЂР±Р°СЂРѕР№, Р·Р°С‚РµРј Р±С‹Р» СЃРѕР·РґР°РЅ РїРѕР»РЅС‹Р№ Р°РЅСЃР°РјР±Р»СЊ. Р—Р°РєРѕРЅС‡РёР» С€РєРѕР»Сѓ РІС‚РѕСЂРѕРіРѕ Р·РІРµРЅР° РїРѕ СЃРїРµС†РёР°Р»СЊРЅРѕСЃС‚Рё "СЌРєРѕРЅРѕРјРёРєР°" РІ РљРѕС‡РµРІСЊРµ, Рё СЃРµР№С‡Р°СЃ РїРѕРјРѕРіР°РµС‚ РІ РѕР±СѓС‡РµРЅРёРё РјРѕР»РѕРґС‹С… РјСѓР·С‹РєР°РЅС‚РѕРІ, Р° С‚Р°РєР¶Рµ СЏРІР»СЏРµС‚СЃСЏ РґРёСЂРµРєС‚РѕСЂРѕРј РєР»СѓР±Р° Р°РєРєРѕСЂРґРёРѕРЅРёСЃС‚РѕРІ UrЕЎka. РќРµР№С† Р”СЂРѕР±РЅРёС‡ СЂРѕРґРёР»СЃСЏ 18РіРѕ РјР°СЏ 1988 РіРѕРґР° РІ Р›СЋР±Р»СЏРЅРµ. РќР°С‡Р°Р» РїРµС‚СЊ РІ С†РµСЂРєРѕРІРЅРѕРј С…РѕСЂРµ РІ С†РµСЂРєРІРё РЎРІ.Р“СЂРёРіРѕСЂРёСЏ. РћС‡РµРЅСЊ Р±С‹СЃС‚СЂРѕ РЅР°СѓС‡РёР»СЃСЏ РёРіСЂР°С‚СЊ РЅР° РіРёС‚Р°СЂРµ Рё РїСЂРёСЃРѕРµРґРёРЅРёР»СЃСЏ Рє Р°РЅСЃР°РјР±Р»СЋ. Р РѕРє РњРѕРґРёС‡ СЂРѕРґРёР»СЃСЏ 15.09.1987 РІ РґРµСЂРµРІРЅРµ РњР°СЂРѕР»С‡Рµ. РўР°РєР¶Рµ РєР°Рє Рё РќРµР№С† РѕРЅ РЅР°С‡Р°Р» СЃ РІС‹СЃС‚СѓРїР»РµРЅРёСЏ РІ СЃРѕСЃС‚Р°РІРµ С†РµСЂРєРѕРІРЅРѕРіРѕ С…РѕСЂР°. РџРѕР·РґРЅРµРµ РµРіРѕ Р·Р°РјРµС‚РёР» Р»РёРґРµСЂ РіСЂСѓРїРїС‹ Рё РїСЂРёРіР»Р°СЃРёР» РїСЂРёСЃРѕРµРґРёРЅРёС‚СЊСЃСЏ Рє Р°РЅСЃР°РјР±Р»СЋ, РґР»СЏ С‡РµРіРѕ РµРјСѓ РїСЂРёС€Р»РѕСЃСЊ Р±С‹СЃС‚СЂРѕ РЅР°СѓС‡РёС‚СЊСЃСЏ РёРіСЂР°С‚СЊ РЅР° Р±Р°СЃ-РіРёС‚Р°СЂРµ Рё РєРѕРЅС‚СЂР°Р±Р°СЃРµ. Р—Р°РєРѕРЅС‡РёР» С€РєРѕР»Сѓ РІС‚РѕСЂРѕРіРѕ Р·РІРµРЅР° РїРѕ СЃРїРµС†РёР°Р»СЊРЅРѕСЃС‚Рё "РёРЅР¶РµРЅРµСЂ СЌР»РµРєС‚СЂРёРє" РІ Р›СЋР±Р»СЏРЅРµ. Р“СЂСѓРїРїР° Kalamari Р±С‹Р»Р° СЃРѕР·РґР°РЅР° РІ РЅРѕСЏР±СЂРµ 1993 РіРѕРґР°, РєРѕРіРґР° РҐРѕР·Рµ Р™РµР·-РџРµРїРё, РњР°С‚СЊСЏР¶ РЁРІР°РіРµР»СЊ Рё РђР»РµРєСЃР°РЅРґСЂ РљРѕРєРѕС€Р°СЂ РґР°Р»Рё РЅРµСЃРєРѕР»СЊРєРѕ СЃРѕРІРјРµСЃС‚РЅС‹С… РІС‹СЃС‚СѓРїР»РµРЅРёР№. Р’СЃРєРѕСЂРµ, РѕРЅРё РЅР°С‡Р°Р»Рё СЂР°Р±РѕС‚Р°С‚СЊ РЅР°Рґ СЃРѕР±СЃС‚РІРµРЅРЅС‹РјРё РїРµСЃРЅСЏРјРё Рё РІ 1995 РіРѕРґСѓ РІС‹РїСѓСЃС‚РёР»Рё Р°Р»СЊР±РѕРј "Dobra vila". Р’ РЅРµРіРѕ РІРѕС€Р»Рё РЅРµСЃРєРѕР»СЊРєРѕ С…РёС‚РѕРІ, РЅРѕ С€РёСЂРѕРєРѕРµ РїСЂРёР·РЅР°РЅРёРµ Рє РіСЂСѓРїРїРµ РІ РЎР»РѕРІРµРЅРёРё РїСЂРёС€Р»Рѕ СЃ СЂРµР»РёР·РѕРј РІС‚РѕСЂРѕРіРѕ Р°Р»СЊР±РѕРјР° "S tabo drzim", РєСѓРґР° РІРѕС€Р»Р° РёР·РІРµСЃС‚РЅР°СЏ РїРµСЃРЅСЏ "Angelca". РЎ С‚РµС… РїРѕСЂ РіСЂСѓРїРїР° СЃС‚Р°Р»Р° РєРІР°СЂС‚РµС‚РѕРј, С‡С‚Рѕ РїРѕР·РІРѕР»РёР»Рѕ СЂР°Р±РѕС‚Р°С‚СЊ РЅР° Р¶РёРІС‹С… РєРѕРЅС†РµСЂС‚Р°С…. РќР°СЃС‚РѕСЏС‰РёР№ СѓСЃРїРµС… Рє Kalamari РїСЂРёС€РµР» СЃ РІС‹РїСѓСЃРєРѕРј С‚СЂРµС‚СЊРµРіРѕ Р°Р»СЊР±РѕРјР° "V vetru rdeДЌih zastav". Р“СЂСѓРїРїР° РґР°Р»Р° РєРѕРЅС†РµСЂС‚С‹ РІ Р�С‚Р°Р»РёРё, РђРІСЃС‚СЂРёРё, РЁРІРµР№С†Р°СЂРёРё, РҐРѕСЂРІР°С‚РёРё, РЎРµСЂР±РёРё Рё Р§РµСЂРЅРѕРіРѕСЂРёРё. Р’ РЅР°СЃС‚РѕСЏС‰РµРµ РІСЂРµРјСЏ РіСЂСѓРїРїР°, РїРѕРјРёРјРѕ РџРµРїРё Рё РњР°С‚СЊСЏР¶Р° РІРєР»СЋС‡Р°РµС‚ РІ СЃРµР±СЏ Р±Р°СЂР°Р±Р°РЅС‰РёРєР° Р РѕРєР° РўРѕРјР°РЅР¶РёРЅС‡РёС‡Р° Рё РєР»Р°РІРёС€РЅРёРєР° Р­РіРѕРЅР° РџСЂРёС‡РёС‡Р°. Р’ РЅР°СЃС‚РѕСЏС‰РµРµ РІСЂРµРјСЏ, РїРѕРјРёРјРѕ РІС‹СЃС‚СѓРїР»РµРЅРёР№ РЅР° РўР’ Рё СЂР°РґРёРѕ РіСЂСѓРїРїР° Р·Р°РЅРёРјР°РµС‚СЃСЏ РїСЂРѕРјРѕСѓС€РµРЅРѕРј СЃРІРѕРµРіРѕ С€РµСЃС‚РѕРіРѕ Р°Р»СЊР±РѕРјР° "Lahko letiЕЎ". РџРѕСЃРєРѕР»СЊРєСѓ РїСЂР°РІРёР»Р° Р•РІСЂРѕРІРёРґРµРЅРёСЏ РґРѕРїСѓСЃРєР°СЋС‚ РЅР°Р»РёС‡РёРµ РЅР° СЃС†РµРЅРµ С‚РѕР»СЊРєРѕ С€РµСЃС‚Рё РёСЃРїРѕР»РЅРёС‚РµР»РµР№, СЂСЏРґ СѓС‡Р°СЃС‚РЅРёРєРѕРІ Kalamari РЅРµ РїСЂРёРјСѓС‚ СѓС‡Р°СЃС‚РёРµ РІ СЃС†РµРЅРёС‡РµСЃРєРѕРј РёСЃРїРѕР»РЅРµРЅРёРё РїРµСЃРЅРё. РњР°С‚СЊСЏР¶ РЁРІР°РіРµР»СЊ - РіРёС‚Р°СЂР°, РІРѕРєР°Р». Р’ С€РєРѕР»Рµ РњР°С‚СЊСЏР¶ РЅР°С‡Р°Р» РёРіСЂР°С‚СЊ РЅР° Р±Р°СЂР°Р±Р°РЅР°С…. РџРѕСЃР»Рµ С‚РѕРіРѕ, РєР°Рє РѕРЅ РѕРєРѕРЅС‡РёР» РјСѓР·С‹РєР°Р»СЊРЅСѓСЋ С€РєРѕР»Сѓ, РѕРЅ РѕСЃРЅРѕРІР°Р» СЃРІРѕСЋ РїРµСЂРІСѓСЋ РіСЂСѓРїРїСѓ, РіРґРµ РѕРЅ РёРіСЂР°Р» РЅР° Р±Р°СЃ-РіРёС‚Р°СЂРµ. РџРѕР·РґРЅРµРµ, РєР°Рє СЃРѕР»Рѕ РіРёС‚Р°СЂРёСЃС‚, РѕРЅ РїСЂРёСЃРѕРµРґРёРЅРёР»СЃСЏ Рє РіСЂСѓРїРїРµ "Nova pot". Р”Рѕ РїСЂРёСЃРѕРµРґРёРЅРµРЅРёСЏ Рє Kalamari РёРіСЂР°Р» С‚Р°РєР¶Рµ РєРѕСЂРѕС‚РєРѕРµ РІСЂРµРјСЏ РЅР° Р±Р°СЃ-РіРёС‚Р°СЂРµ РІ Р—Р°РіСЂРµР±СЃРєРѕР№ РіСЂСѓРїРїРµ "Rock caffe". Р’ Kalamari РѕРЅ СЏРІР»СЏРµС‚СЃСЏ Р°РІС‚РѕСЂРѕРј РїСЂР°РєС‚РёС‡РµСЃРєРё РІСЃРµС… Р°СЂР°РЅР¶РёСЂРѕРІРѕРє РїРµСЃРµРЅ. РџРѕРјРёРјРѕ РіСЂСѓРїРїС‹, РѕРЅ С‚Р°РєР¶Рµ СЂР°Р±РѕС‚Р°РµС‚ Р°СЂР°РЅР¶РёСЂРѕРІС‰РёРєРѕРј, РїСЂРѕРґСЋСЃРµСЂРѕРј, РіРёС‚Р°СЂРёСЃС‚РѕРј, Р±Р°СЃРёСЃС‚РѕРј Рё Р±СЌРє-РІРѕРєР°Р»РёСЃС‚РѕРј, РїСЂРёРЅРёРјР°СЏ СѓС‡Р°СЃС‚РёРµ РІ СЂР°Р·Р»РёС‡РЅС‹С… РїСЂРѕРµРєС‚Р°С… РЎР»Р°РІРєРѕ Р�РІР°РЅС‡РёС‡Р°, Р”Р°РЅРёР»Рѕ РљРѕС‡СЏРЅС‡РёС‡Р°, Р�Р·С‚РѕРєР° РњР»Р°РєР°СЂР°, Р”Р¶Р°РЅРё Р РёСЏРІРµС‡Р°, РіСЂСѓРїРїС‹ Р”Р¶РѕРЅРЅРё Р‘СЂР°РІРѕ Рё С‚.Рї. РџРµРїРё Р™РµР¶ - РІРѕРєР°Р», РіРёС‚Р°СЂР°. РќР°С‡Р°Р» РјСѓР·С‹РєР°Р»СЊРЅС‹Рµ РІС‹СЃС‚СѓРїР»РµРЅРёСЏ РІ РєР°С‡РµСЃС‚РІРµ РіРёС‚Р°СЂРёСЃС‚Р° РІ РіСЂСѓРїРїРµ СЃРІРѕРµРіРѕ Р±СЂР°РґР° Р”РµСЏРЅР° Karantanija. РџРѕР·РґРЅРµРµ, РІРјРµСЃС‚Рµ СЃ РіРёС‚Р°СЂРёСЃС‚РѕРј Р‘РѕСЂРѕРј Р–СѓР»СЊСЏРЅРѕРј РѕСЃРЅРѕРІР°Р» РіСЂСѓРїРїСѓ Harry Blue, РёР·РІРµСЃС‚РЅСѓСЋ РїРѕ СЃРІРѕРµРјСѓ С…РёС‚Сѓ "Mesto spi". Р’ РЅР°С‡Р°Р»Рµ 90С… Р·Р°РїРёСЃР°Р» СЂРѕРє-Р°Р»СЊР±РѕРј СЃ РіСЂСѓРїРїРѕР№ Faust. РџРѕСЃР»Рµ РµРµ СЂР°СЃРїР°РґР° СЃРѕР·РґР°Р» СЃ РњР°С‚СЊСЏР¶РµРј РЁРІР°РіРµР»РµРј РіСЂСѓРїРїСѓ Kalamari. РћРЅ СЏРІР»СЏРµС‚СЃСЏ С„СЂРѕРЅС‚РјРµРЅРѕРј РіСЂСѓРїРїС‹, РёРЅРѕРіРґР° С‚Р°РєР¶Рµ РёРіСЂР°СЏ РЅР° Р°РєРєСѓСЃС‚РёС‡РµСЃРєРѕР№ РіРёС‚Р°СЂРµ Рё РїРµСЂРєСѓСЃСЃРёРё. РћРЅ С‚Р°РєР¶Рµ Р°РІС‚РѕСЂ Р±РѕР»СЊС€РёРЅСЃС‚РІР° РїРµСЃРµРЅ РіСЂСѓРїРїС‹. Р�РґРµСЏ СЃРјРµС€Р°С‚СЊ С„РѕР»СЊРєР»РѕСЂРЅС‹Р№ Р°РЅСЃР°РјР±Р»СЊ Рё СЂРѕРє-РіСЂСѓРїРїСѓ РїСЂРёС€Р»Р° Р°РІС‚РѕСЂСѓ С‚РµРєСЃС‚Р° РїРµСЃРЅРё Р›РµРѕРЅСѓ РћР±Р»Р°РєСѓ, Рё РІ СЂРµР·СѓР»СЊС‚Р°С‚Рµ СЂРѕРґРёР»Р°СЃСЊ РєРѕРјРїРѕР·РёС†РёСЏ "Narodno zabavni rock", РєРѕС‚РѕСЂСѓСЋ РЅР°РїРёСЃР°Р» РњР°СЂРёРЅРѕ Р›РµРіРѕРІРёС‡. РџСЂРѕСЃР»СѓС€Р°С‚СЊ РїРµСЃРЅСЋ РјРѕР¶РЅРѕ Р·РґРµСЃСЊ. Р’С‹СЃС‚СѓРїР»РµРЅРёРµ РЅР° РЅР°С†РёРѕРЅР°Р»СЊРЅРѕРј С„РёРЅР°Р»Рµ РјРѕР¶РЅРѕ СѓРІРёРґРµС‚СЊ Р·РґРµСЃСЊ, РїСЂРµРІСЊСЋ РёР· Spet Doma Р·РґРµСЃСЊ. poskrbi za ples, za vriskanje in smeh. vroДЌ kot poletje, barvast kakor jesen. in se polka v trЕЎe ritme zlije. ДЌez deЕѕelo ЕЎiri, kakor poЕѕar. in se rock med ritem polke skrije. 08/01 List of 7 invited composers and their entries has been revealed today during press-conference of Slovenian EMA organizers, as well as running orders for the semifinal and final determined. EMA 2010 will take place in Gospodarsko razstavisce in Ljubljana on 20th and 21st of February. 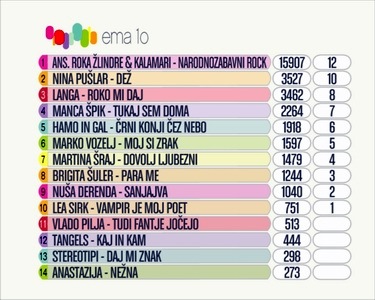 Winners of both nights of EMA will be decided by 100% televoting. Hosts of the show will be Bernarda Zarn & Ivo Kores (semifinal), Lorella Flego & Andrea Flego (final). EMA entries will be presented on the radio Val 202 on February 8th at 19.45 CET and on RTVSlo show "Spet Doma" on January 31st, February 6th and 14th at 19:55 CET. РЎРµРіРѕРґРЅСЏ РЅР° РїСЂРµСЃСЃ-РєРѕРЅС„РµСЂРµРЅС†РёРё РѕСЂРіР°РЅРёР·Р°С‚РѕСЂРѕРІ СЃР»РѕРІРµРЅСЃРєРѕР№ EMA Р±С‹Р» РѕР±СЉСЏРІР»РµРЅ СЃРїРёСЃРѕРє 7 РїСЂРёРіР»Р°С€РµРЅРЅС‹С… РєРѕРјРїРѕР·РёС‚РѕСЂРѕРІ Рё РёС… РїРµСЃРµРЅ, Р° С‚Р°РєР¶Рµ РїСЂРѕРІРµРґРµРЅР° Р¶РµСЂРµР±СЊРµРІРєР° РїРѕСЂСЏРґРєР° РІС‹СЃС‚СѓРїР»РµРЅРёР№ РІ РїРѕР»СѓС„РёРЅР°Р»Рµ Рё С„РёРЅР°Р»Рµ РєРѕРЅРєСѓСЂСЃР°. EMA 2010 РїСЂРѕР№РґРµС‚ 20РіРѕ Рё 21РіРѕ С„РµРІСЂР°Р»СЏ РІ Gospodarsko razstavisce РІ Р›СЋР±Р»СЏРЅРµ. РџРѕР±РµРґРёС‚РµР»Рё РѕР±РѕРёС… РІРµС‡РµСЂРѕРІ Р±СѓРґСѓС‚ РѕРїСЂРµРґРµР»СЏС‚СЊСЃСЏ 100% С‚РµР»РµРіРѕР»РѕСЃРѕРІР°РЅРёРµРј. Р’РµРґСѓС‰РёРјРё С€РѕСѓ СЃС‚Р°РЅСѓС‚ Bernarda Zarn Рё Ivo Kores (РїРѕР»СѓС„РёРЅР°Р»), Lorella Flego Рё Andrea Flego (С„РёРЅР°Р»). РџСЂРµР·РµРЅС‚Р°С†РёСЏ РїРµСЃРµРЅ EMA РїСЂРѕР№РґРµС‚ РЅР° СЂР°РґРёРѕ Val 202 8РіРѕ С„РµРІСЂР°Р»СЏ РІ 21.45 РњРѕСЃРєРІС‹ Рё РЅР° С€РѕСѓ RTVSlo "Spet Doma" 31РіРѕ СЏРЅРІР°СЂСЏ, 6РіРѕ Рё 14РіРѕ С„РµРІСЂР°Р»СЏ РІ 21:55 РњРѕСЃРєРІС‹. 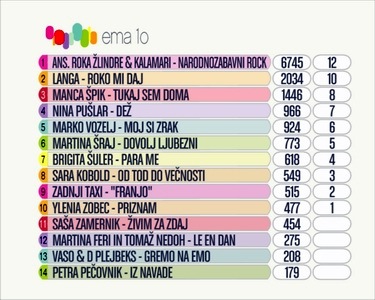 18/12 Slovenian preselection commission has chosen 14 songs (from 111 submitted entries) that will take part in the national preselection, EMA 2010 to take place in early March. 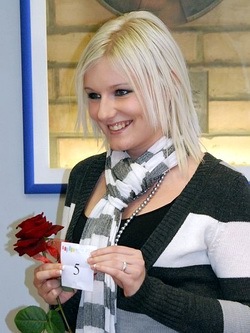 The jury was made of Mojca Menart, Urska Cop, Andrea Flego, Miha Vardjan and Drago Mislej Mef. They also selected 7 reserves songs that will be added in the game in case of withdrawals of some of the original competitors. Vili Resnik, Bostjan Konecnik, Rok Kosmac, Black Cat, Ela, Iris, Bojana Glatz, Katja Klemenc, Majda Arh, Malibu, David Grom, Jernej Dermota, David Herga, Zaka' pa ne, Skaterji, Folkrola, Alexio, Dejan Bojanec, Rok Pececnik are believed to be among those who failed to qualify through the open selection. RTV Slovenia has also sent invitations to 7 well-established songwriters, whose names will be revealed on 8th of January. They were chosen by the special commission on the basis of a broader survey of Eurovision experts and music professionals. As earlier reported by ESCKaz, 14 songs will take part in semifinal, half will qualify to the final, where they will be joined by 7 more songs by invited composers. All songs in preselection have to be performed in Slovenian and winning song will have to be performed in Oslo in Slovenia as well. 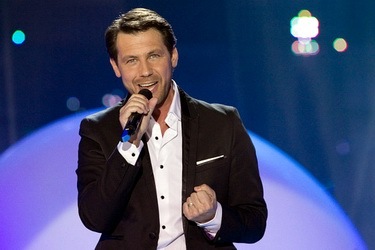 In both semifinal and final winners will be selected by 100% televoting. РЎР»РѕРІРµРЅСЃРєР°СЏ РѕС‚Р±РѕСЂРѕС‡РЅР°СЏ РєРѕРјРёСЃСЃРёСЏ РѕС‚РѕР±СЂР°Р»Р° 14 РїРµСЃРµРЅ (РёР· 111 РїРѕР»СѓС‡РµРЅРЅС‹С… Р·Р°СЏРІРѕРє), РєРѕС‚РѕСЂС‹Рµ РїСЂРёРјСѓС‚ СѓС‡Р°СЃС‚РёРµ РІ РЅР°С†РёРѕРЅР°Р»СЊРЅРѕРј РѕС‚Р±РѕСЂРµ, EMA 2010, РєРѕС‚РѕСЂС‹Р№ РїСЂРѕР№РґРµС‚ РІ РЅР°С‡Р°Р»Рµ РјР°СЂС‚Р°. Р’ СЃРѕСЃС‚Р°РІ РѕС‚Р±РѕСЂРѕС‡РЅРѕРіРѕ Р¶СЋСЂРё РІРѕС€Р»Рё Mojca Menart, Urska Cop, Andrea Flego, Miha Vardjan Рё Drago Mislej Mef. РћРЅРё С‚Р°РєР¶Рµ РѕС‚РѕР±СЂР°Р»Рё 7 СЂРµР·РµСЂРІРЅС‹С… РїРµСЃРµРЅ, РєРѕС‚РѕСЂС‹Рµ Р±СѓРґСѓС‚ РІРєР»СЋС‡РµРЅС‹ РІ РєРѕРЅРєСѓСЂСЃ РІ СЃР»СѓС‡Р°Рµ СЃРЅСЏС‚РёСЏ РєРѕРіРѕ-С‚Рѕ РёР· РѕСЂРёРіРёРЅР°Р»СЊРЅС‹С… СѓС‡Р°СЃС‚РЅРёРєРѕРІ. Vili Resnik, Bostjan Konecnik, Rok Kosmac, Black Cat, Ela, Iris, Bojana Glatz, Katja Klemenc, Majda Arh, Malibu, David Grom, Jernej Dermota, David Herga, Zaka' pa ne, Skaterji, Folkrola, Alexio, Dejan Bojanec, Rok Pececnik РїРѕ СЃР»СѓС…Р°Рј, РІ С‡РёСЃР»Рµ С‚РµС…, РєС‚Рѕ РЅРµ СЃРјРѕРі РІС‹Р№С‚Рё РІ С‡РёСЃР»Рѕ РїРѕР»СѓС„РёРЅР°Р»РёСЃС‚РѕРІ РѕС‚Р±РѕСЂР°. RTV РЎР»РѕРІРµРЅРёСЏ С‚Р°РєР¶Рµ РѕС‚РѕСЃР»Р°Р»Рѕ РїСЂРёРіР»Р°С€РµРЅРёСЏ 7 РёР·РІРµСЃС‚РЅС‹Рј Р°РІС‚РѕСЂР°Рј, С‡СЊРё РёРјРµРЅР° Р±СѓРґСѓС‚ РЅР°Р·РІР°РЅС‹ 8РіРѕ СЏРЅРІР°СЂСЏ. РћРЅРё Р±С‹Р»Рё РІС‹Р±СЂР°РЅС‹ СЃРїРµС†РёР°Р»СЊРЅРѕР№ РєРѕРјРёСЃСЃРёРµР№ РЅР° РѕСЃРЅРѕРІРµ С€РёСЂРѕРєРѕРіРѕ РѕРїСЂРѕСЃР° СЌРєСЃРїРµСЂС‚РѕРІ Р•РІСЂРѕРІРёРґРµРЅРёСЏ Рё РїСЂРѕС„РµСЃСЃРёРѕРЅР°Р»РѕРІ РІ РѕР±Р»Р°СЃС‚Рё РјСѓР·С‹РєРё. РљР°Рє СЂР°РЅРµРµ СЃРѕРѕР±С‰Р°Р» ESCKaz, 14 РїРµСЃРµРЅ РїСЂРёРјСѓС‚ СѓС‡Р°СЃС‚РёРµ РІ РїРѕР»СѓС„РёРЅР°Р»Рµ, РїРѕР»РѕРІРёРЅР° РёР· РЅРёС… РІС‹Р№РґРµС‚ РІ С„РёРЅР°Р», РіРґРµ Рє РЅРёРј РїСЂРёСЃРѕРµРґРёРЅРёС‚СЃСЏ РµС‰Рµ 7 РїРµСЃРµРЅ, РЅР°РїРёСЃР°РЅРЅС‹С… РїСЂРёРіР»Р°С€РµРЅРЅС‹РјРё Р°РІС‚РѕСЂР°РјРё. РќР° РѕС‚Р±РѕСЂРµ РІСЃРµ РїРµСЃРЅРё РґРѕР»Р¶РЅС‹ РёСЃРїРѕР»РЅСЏС‚СЊСЃСЏ РЅР° СЃР»РѕРІРµРЅСЃРєРѕРј, РІ РћСЃР»Рѕ РєРѕРЅРєСѓСЂСЃРЅР°СЏ РїРµСЃРЅСЏ С‚Р°РєР¶Рµ Р±СѓРґРµС‚ РёСЃРїРѕР»РЅРµРЅР° РЅР° СЃР»РѕРІРµРЅСЃРєРѕРј. Р’ РїРѕР»СѓС„РёРЅР°Р»Рµ Рё С„РёРЅР°Р»Рµ РїРѕР±РµРґРёС‚РµР»Рё Р±СѓРґСѓС‚ РѕРїСЂРµРґРµР»РµРЅС‹ 100% С‚РµР»РµРіРѕР»РѕСЃРѕРІР°РЅРёРµРј.